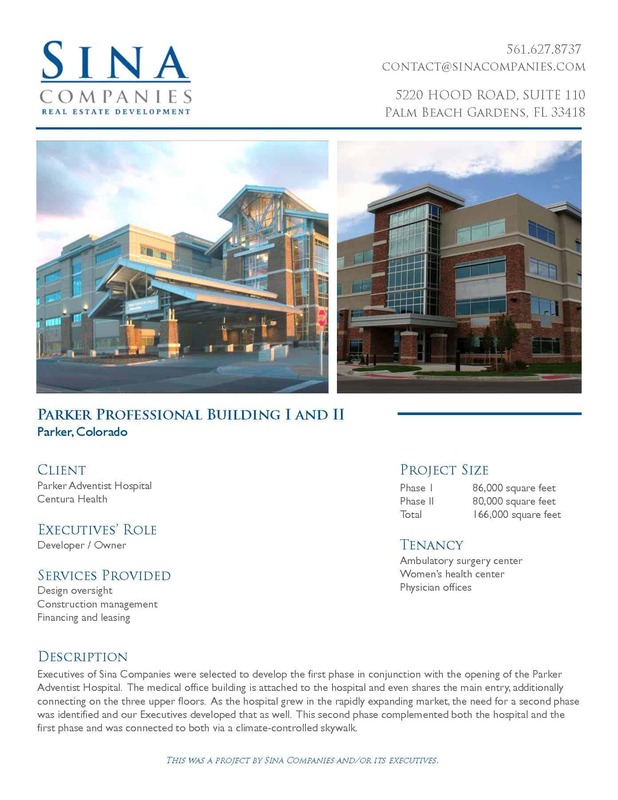 Executives of Sina Companies were selected to develop the first phase in conjunction with the opening of the Parker Adventist Hospital. The medical office building is attached to the hospital and even shares the main entry, additionally connecting on the three upper floors. As the hospital grew in the rapidly expanding market, the need for a second phase was identified and our executives developed that as well. 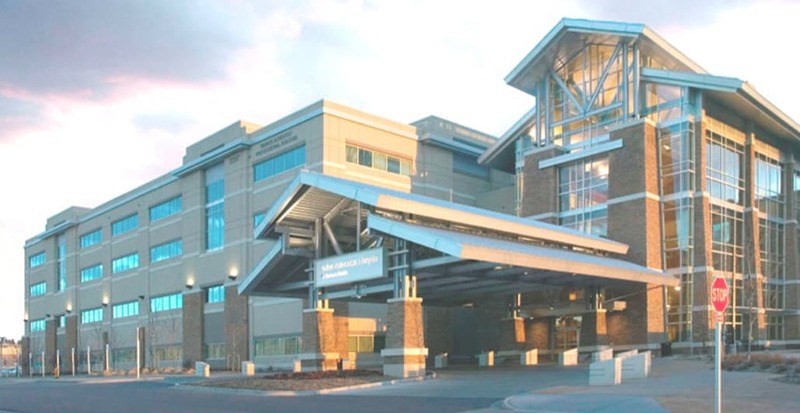 This second phase complemented both the hospital and the first phase and was connected to both via a climate-controlled skywalk.